1. Should I sell Christmas Trees? We service a wide range of customer types. 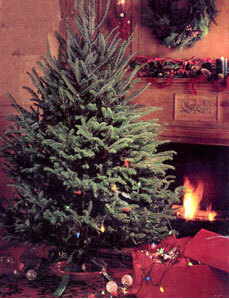 Christmas trees can extend cash flow into the slower Fall/Winter months for a garden center or landscape company. It can be a fun family activity. It is a great fundraiser for a school. 2. How many trees should I order? We generally recommend to our first time customers that you start small with 100-150 trees. This amount provides an ample selection and we want you to be succesful your first year. Your sales and experience will allow you to adjust and modify your order each year. For first time orders, center your order with 6/7′ and 7/8′ trees and including a few smaller and larger trees for variety. You might also mix in some #2 quality trees. This gives a cheaper option for your customers so no one leaves your lot without a tree. This also allows you to compete on price and still provide a great tree. 3. Request a price list. 4. How much is freight? We specialize in small orders. As a result, we typically ship multiple orders on the same truck. This allows customers to share freight. The majority of our customers enjoy a cheap freight rate of 2.00-$5.00 per tree. All freight prices are F.O.B Newland, North Carolina. 5. When should I send in my order? We request that your order be completed and submitted by October 15th. This is not a deadline. However, this is when we begin finalizing our shipping manifest. Please submit your order early to insure that you receive the best frieght rate. Order changes may be adjusted up until your order is shipped. 6. How much is my deposit? Unless otherwise agreed, we request a deposit of twenty (20%) percent on or before October 15th. 7. When is my payment due? Unless otherwise agreed in writing, we request the balance of your order upon delivery. A service fee of one and one/half (1 1/2%) percent per month or a rate established by the farm, will be charged on delinquent balances. 8. When will my order arrive? The majority of our customers request their trees the week before or the week of Thanksgiving. The Thanksgiving weekend is typically the biggest Christmas tree sales weekend. By requesting your trees at this time, you have time to prepare your lot and display your trees. We also offer multiple deliveries. Many customers request half of their order to be delivered before Thanksgiving and the remainder of their order to be delivered 1-2 weeks later. This gaurantees that you have the freshest trees. 9. How should I price my trees? There are a couple of options we find succesful. First, you may decide to individually price each tree. Being a natural product, each tree is unique and this option gives you the opportunity to maximize the potential of each tree. Second, you may price each tree size the same regardless of quality. This is a great strategy if you mix in #2 quality trees. Your profit margin is increased on the #2 quality trees while also giving you negotiation potential. 10. Is there a sales tax on Christmas Trees? There is no sales tax charged to your order. However, you may be responsible for the payment of any federal, state, or local taxes required in your area.